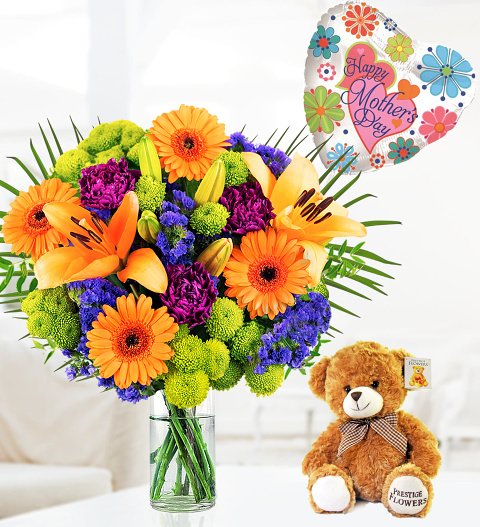 Pamper Mum this Mother's Day with this bright bouquet, colourful stick balloon, and fluffy Teddy Bear. Included in the bouquet, you will notice stunning orange lilies that contrast wonderfully with the blue Statice. We have also included carnations, chrysanthemums, and germinis to bring all the contrasting colours and textures together beautifully.